Organised by the Banbury branch of Oxford letting agents, Finders Keepers, Saturday 29th September 2012 will see the second annual charity clay target shoot in aid of Air Ambulance. The event will take place at Edgehill Shooting Ground near Banbury from 11am and will run throughout the day. There will be delicious food available to buy, with all profits going to the Air Ambulance Trust. Have a go – get your first taste of handling a shotgun safely and with coaching provided you’ll soon be hitting the clay target. You may even win the FK ‘Have a go’ trophy! 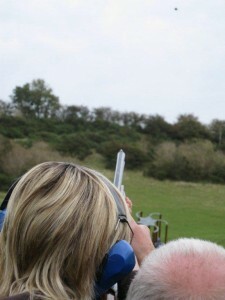 Competition – For those who have shot before and are confident handling a shotgun. Compete for the FK ‘High Gun’ trophy. See how many clays you can hit on our challenging sporting layout. RSVP to paul.rushworth@finderskeepers.co.uk, stating which category you are entering.